So we were excited to try Tamazul, the newest restaurant located in OKC’s Classen Curve. We’d heard it was Mexican, and Jon and I always go for a good Mexican restaurant. The first thing we were curious about was the restaurant’s name. I took eight years of Spanish in school and college, and I’d never heard the word “tamazul.” I got the azul part, which explained the blue decor. Our waiter was friendly and enthusiastic, but he had no clue about the meaning behind the name of his place of employment. But he did seem to know plenty about the various kinds of tequila behind the bar. The menu was a total mystery, and to add to the fact that I could hardly understand what any of the words meant (even with my eight years of Spanish), there were vertical lines between each word on the menu which screamed out “we’re trying really hard to be trendy” but made reading comprehension impossible. There were no hints about the dishes, and I couldn’t even tell the difference between appetizers and entrees. The menu obviously needed a special dictionary of its own. This was no Mexican food I’d ever eaten. While Jon and I were trying to figure out the menu, the manager stopped by to introduce herself. She was also very friendly like our waiter, and she bubbled over about how unique and needed the restaurant is in the OKC area. 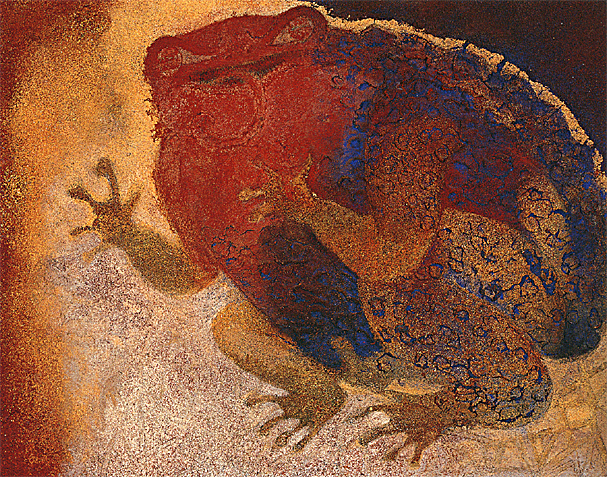 We learned that Tamazul was named after a painting of a frog by a Mexican painter. I couldn’t help googling the painting, and was surprised to see that it wasn’t blue. In fact it was red and purple, and the frog kinda scared me. I sat there trying to figure out the connection between a scary frog painting, the color blue and quasi-Mexican food, but I guess I needed tequila to connect any dots. I gave up and ordered what the waiter suggested for me, based on the fact that I was leaning towards seafood. It turned out the entrees were very small, tapas style. My fish was seriously overcooked, well, like mush, and I was disappointed that the “plantains” were actually banana chips. To best sum up our dinner, Jon and I were still hungry when we left Tamazul, so we went straight to the nearest Orange Leaf for lots of toppings with our frozen yogurt. 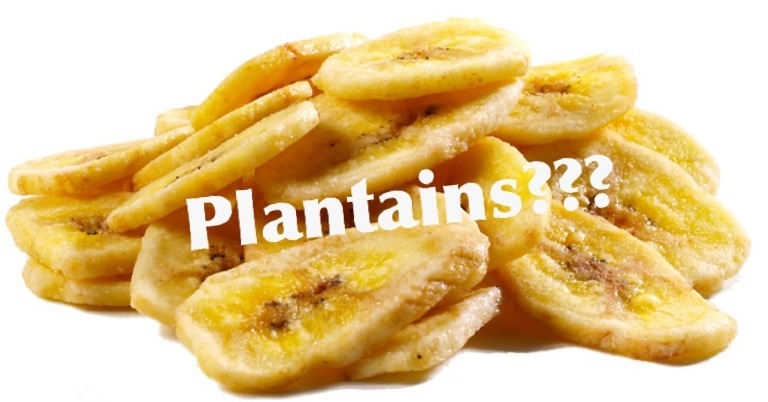 I think we may try it again in a couple of months….maybe…..if anything, just to see if they re-think the banana chip “plantains” thing. Tamazul is unique – yes. Needed? Not so much. Are you sure that you really visited this restaurant? Fish? This is an all vegan, plant-based restaurant. They don’t serve fish and banana chips. Your review is entertaining…but legitimate? Hardly….